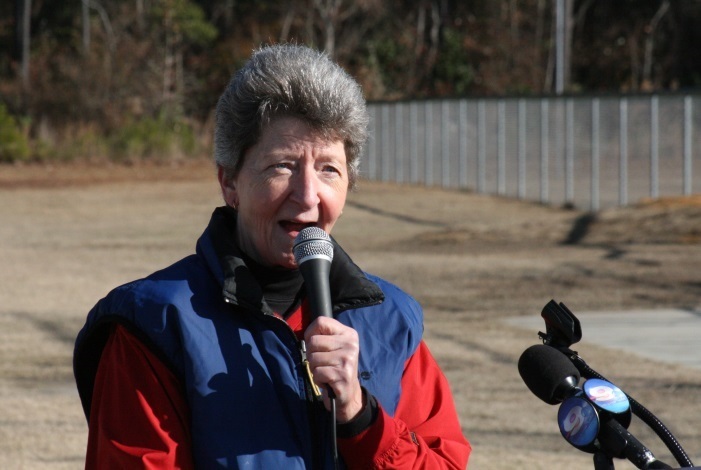 Pitt County’s Kids in Parks TRACK Trail Program Kicks Off! During the fall of 2013, Pitt County Health Department, Vidant Medical Center Community Health Programs and Pitt Partners for Health were selected to participate in the Community Health Improvement Application (IMAPP) pilot. Pilot sites assisted the Center for Public Health Quality and the Center for Healthy NC with refining the IMAPP resource to assist community partnerships with the selection and implementation of evidenced-based interventions to improve health in their communities. 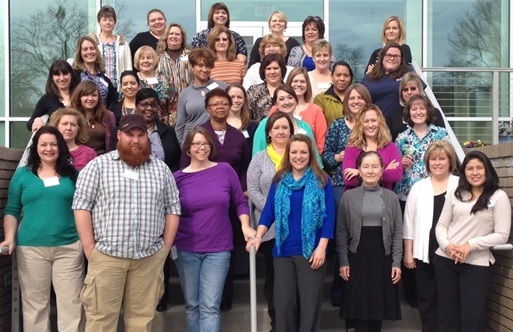 Each wave of the Public Health QI 101 Program adds invaluable QI problem solvers to the public health agencies in NC. With NC’s 9th Wave of participants, seven local health department teams (Brunswick, Buncombe, Dare, Granville-Vance District, Lee, Montgomery and Moore Counties) are joining the movement. From December 17th-19th, QI teams from each agency joined CPHQ for their first Workshop. 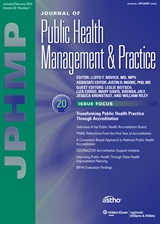 The January 2015 issue of the Journal of Public Health Management and Practice will highlight the impressive quality improvement work in North Carolina’s public health system. Evaluation feedback from over 200 participants, from 37 NC local health departments, that participated in the ongoing statewide public health quality improvement training program (PH QI 101) was collected. The purpose of the evaluation was to examine the effectiveness of the PH QI 101 Program among 4 cohorts of training participants. The Environmental Health Section, Food and Facilities Branch surveyed its stakeholders to learn where improvements are needed. Response to the survey was outstanding and clearly identified lack of consistency in communicating program policies and procedures as potential improvements. Seven NC local health departments and one Division of Public Health team are participating in Wave 9 of the Public Health QI 101 training program, which kicked off on October 3rd. The fourth cohort of the Quality Improvement Advisor (QIA) program is well underway and just hosted a hands-on workshop on September 24-26th. 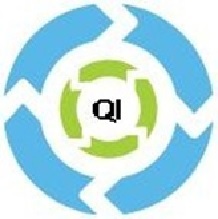 In the interactive learning program designed to train state and local health department staff, QIAs learn valuable, practical techniques to support QI within their organization and assist leaders with creating a CQI culture and infrastructure. The NC Department of Health and Human Services RFA/Contracts Approval Process Goes Lean! 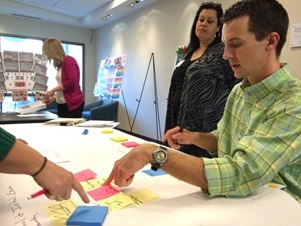 The North Carolina Division of Social Services (NC DSS) completed a Lean Kaizen Event as part of the North Carolina Department of Health and Human Services (NC DHHS) Request for Application (RFA)/Contracts Process Improvement Project. 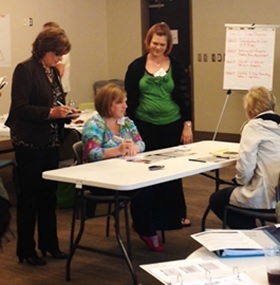 Another nine local health departments have started their QI journey by participating in Wave 8 of the PH QI 101 program! On June 18th-20th, teams from the 8th Wave completed the first workshop of their ongoing QI journey. Wave 8 consists of Burke, Caldwell, Davidson, Graham, Granville-Vance, Harnett, Lincoln, Mecklenburg and Wilkes Counties. Please join us in congratulating the Wave C participants of the DPH QI 101 Training Program: Human Resources, Office of Rural Health and Community Care, On-Site Water Protection Branch, and the Women’s Health Branch.